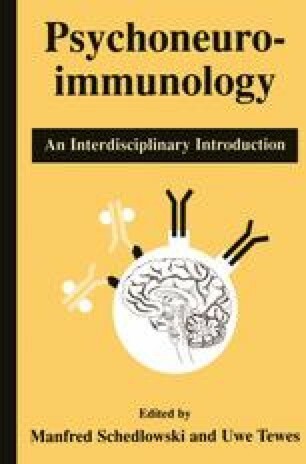 Studies that determine whether psychosocial interventions can impact on the immune system are critical to the field of psychoneuroimmunology for three primary reasons. First, an intervention study design can determine whether a psychosocial independent variable can affect an immunological dependent variable. Thus, causality can be established. In contrast, data from cross-sectional studies of psychological factors and immune processes cannot be used to infer a causal relationship. Even longitudinal studies that demonstrate that a psychological variable can predict changes in an immune variable over time are weak tests of a causal relationship. The question of “what causes what” has become an increasingly important issue as new findings indicate that immune products, such as cytokines, can enter the brain and alter cognitive and affective states (Maier & Watkins, 1998). In other words, under certain conditions, the relationship between psychological states and immune processes may be a function of immunological processes acting on the brain and behavior. Thus, intervention studies are crucial in establishing that psychosocial factors can in fact affect the immune system.